AR Books are actual paper or digital copies of traditional books. They have both text and illustrations. They are linked to the additional content . The camera is pointed at a page in the book. Then the application ‘reads’ the page and displays that content on the screen of the device. This content could be a picture or video file or an audio clip or a whole animated sequence. It could even be a game or activity associated with the traditional media. Now, we will introduce you two very popular children books using AR technology. By falling down a rabbit hole, Alice experiences unusual adventures with a variety of characters in this adaptation of Lewis Carroll’s classic tale. This colorful book is the great candidate for an AR book. The actions, colors and awkward instances happening in story comes alive with the Augmented images. 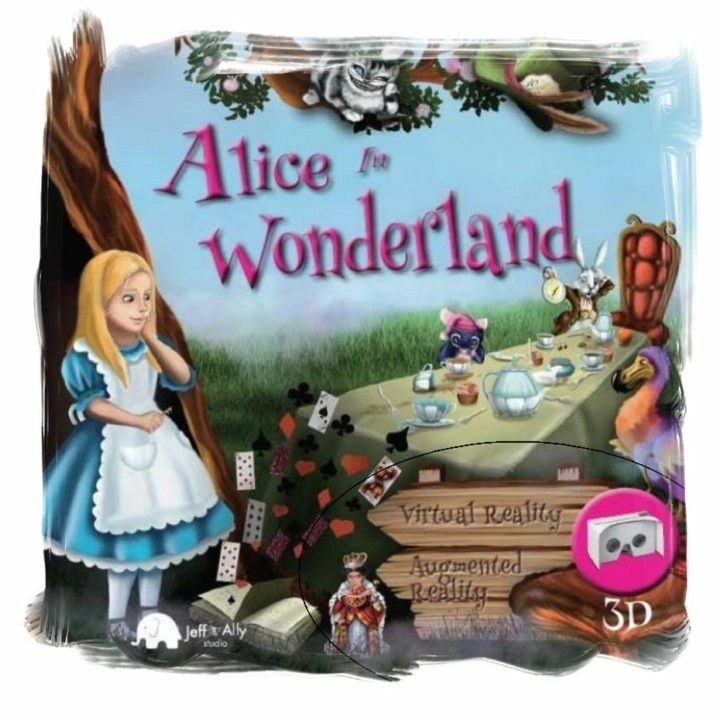 And now, you can immerse yourself in Wonderland through the interactive reading experience that this book offers. Alice follows the rabbit to his burrow, where she falls inside and her magical adventure begins. Finally, Magical cakes, golden key, potions and extraordinary creatures await you.